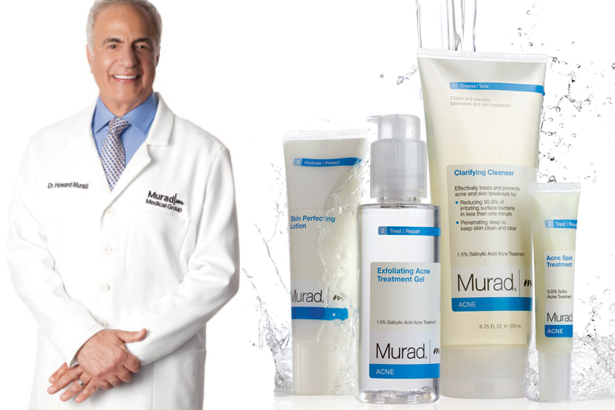 Renowned dermatologist, author and prolific blogger, Howard Murad, MD, has been on the cutting edge of skincare for decades and his eponymous skincare line is about to celebrate its 25th anniversary. In addition to some of the best skincare products, he has a uniquely holistic approach to his practice. We spoke with the famed doctor to find out more about his latest research and how we can improve our quality of life today. theFashionSpot: I've heard that about 80% of signs of aging are due to variables we can control, like sun exposure. Can you talk a little bit about what we might be doing unknowingly that is contributing to signs of aging? Dr. Howard Murad: Modern living impacts aging indefinitely. Cultural stress, a form of stress I founded based on years of research and the observation of thousands of my patients, is the constant and pervasive stress of everyday life that has become a normal part of our technologically savvy society. The aging of our otherwise youthful skin flourishes under the feeling that we must complete everything for everyone now. Combined with the bolstering of our devices with email, texts and constant phone calls, it’s a recipe for stressed, aging skin. I always recommend my patients take a breath and relax – like I always say, happiness is the best facelift! tFS: What are non-negotiables when it comes to nutrition/diet? HM: A sound diet high in nutritional value is incredibly important to the health of the body, but also to the health of the skin. In addition to eating foods that are high in water content like celery, watermelon and cucumbers to hydrate the body from the inside out, the biggest non-negotiable is the 80/20 rule. Ideally, a healthy diet should be made up of 80% plant-based foods with a focus on amino acids, antioxidants and omegas. The remaining 20% should be the foods you enjoy eating like cookies and cupcakes. While healthy food choices are ideal, very few people can make these choices 100% of the time, which is why it’s important to allow yourself to indulge occasionally. This ensures that the diet is not limiting and avoids binges on junk food. The key here is to understand that a healthy diet should be tailored to individual needs, based on what is best for them. tFS: In the same vein, there isn't a one-size-fits-all when it comes to exercise, but can you highlight some things that are important to bear in mind? HM: Weight-bearing training and cardio should be a key focus for an effective workout. Cardio exercise gets the heart beating and encourages the temporary use of energy to burn fat for a healthy metabolism. Weight-bearing exercises have been shown to reduce bone density loss, manage a healthy weight and sharpen focus. It’s important to remember that muscles are made up of 70% water where fat is only made up of 10% water, so the more muscle mass you build up, the more water is stored in your body, contributing to overall hydration. This is why we often see those that regularly exercise have clearer, more hydrated and youthful-looking skin. tFS: What do you suggest for people who have trouble sleeping and can you explain why getting enough is so important when it comes to our skin? HM: There are several things that can help those who have trouble sleeping like taking a warm bath before bedtime, drinking hot tea, turning off all electronics an hour before intended sleep time and if there still isn’t a change in the sleeping pattern, even taking melatonin supplements. There are other things, however, to keep in mind when thinking of sleep and how it relates to the health of the body. Sleep is the body’s opportunity to repair itself; it expels energy during sleep in an effort to heal and mend after a long day of damage. This is why we recommend high-performance, topical products to be used at night to take full advantage of the rejuvenation the body undertakes during sleep. This is a great time to apply products that are high in antioxidants and hydrators, as well as a rich moisturizer to target the superficial layers of the skin. tFS: I've heard that 8 glasses of water a day is a myth. Why is it important to get enough water and how can we know if we are getting enough? Are there alternatives you can suggest for people who don't like water? HM: Proper hydration is incredibly important to all functions of the body as about 3/4 of our body is made up of water. We’ve all heard it many times that we should drink eight 8 oz. glasses of water per day to maintain an optimal level of hydration, yet there is little scientific evidence for this advice and that for most people, more water just means more trips to the bathroom. Not only is this a waste of time and water, but the constant flushing of water through your body can mean a loss of vital minerals as well. A good indicator of whether or not your body is properly hydrated is the color of the urine; it shouldn’t be a dark color and it certainly shouldn’t be completely clear either. A pale yellow is a healthy sign that your body is hydrated but not ridding itself of important vitamins or minerals. I always say, eat your water and you won’t need to count your glasses. If you replace at least one glass of water a day with one serving of raw fruits or vegetables, you will be able to stay hydrated significantly longer. 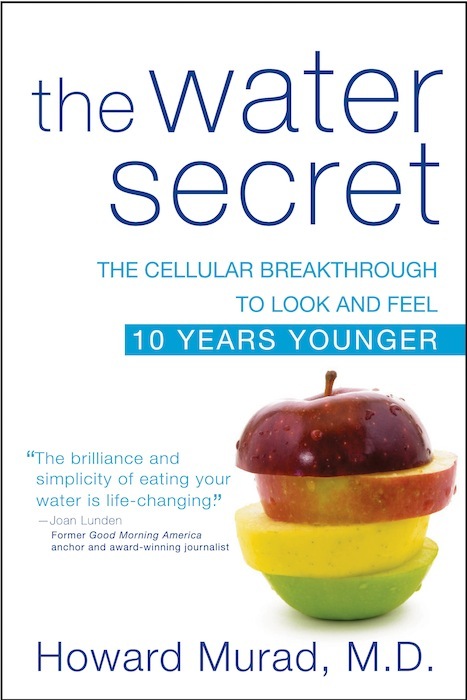 The goal is to strategically hydrate so that water is available to your cells throughout the day. Because the body is constantly replacing damaged cells, if we eat key foods and take targeted supplements, we can protect and promote cellular health by keeping the body flooded with cell protecting antioxidants and the building blocks of stronger cell membranes. Nourishing your body properly by eating raw fruits and vegetables will help strengthen your cells from the inside out. I encourage all of my patients to eat a colorful diet. The water that is found in raw fruits and vegetables is the best form of water for your cells because it stays in your system long enough for your body to put it to good use. tFS: Aside from the diet, sleep and exercice factors we just talked about, what are some findings you can share from your research when it comes to everyday things people can do to "live better"? HM: There are a few key things that I have found from my thousands of patients over the years that lead to a healthier, more fulfilling life, in addition to what we just discussed. Intrinsic happiness with a return to a freed, uninhibited you – the toddler in you – is very important. Yes, the toddler in you! When we were this age, we didn’t live outside of the box because frankly, there was no box. We were inherently happy with a disregard for what others thought of us with a laser-sharp focus on doing what made us happy. For example, if this meant dancing on a whim, we danced! This concept is important to living a better, healthier and more satisfying life. Return to your passions and do what you love to do. Like I always say, turn the rest of your life into the best of your life! tFS: Great advice! Now in terms of products, what skincare products are you most proud of for having launched? HM: I’m proud of every single product we have launched, however I am particular fond of the original four heritage products I developed in my practice in 1989. 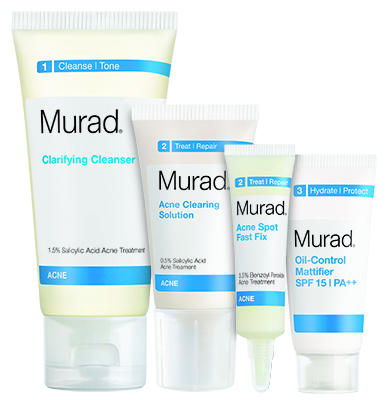 Oily & Acne Prone Skin Formula, Skin Smoothing Cream and Age Spot and Pigment Lightening Gel were the very first products of Murad and to this day, we still address everything in our current portfolio that these original products focused on. In a way, these original formulations are still embodied, in one way or another, in our current formulas – they’re just now innovated with current technologies. They all served as a blueprint for every product we’ve launched since. I’m also proud of the advancement of technologies we’ve created in our recent formulas, particularly Acne Spot Fast Fix and Acne Clearing Solution because of their ability to clear acne quickly while also avoiding the redness and irritation that acne products can typically cause. Rapid Age Spot & Pigment Lightening Serum is also a favorite of mine, it brightens and lightens age spots and sun spots and makes the skin appear so luminous. tFS: Can you tell us what products you think everyone should be using? HM: Reflective of our own product structure, I always recommend my patients to use a cleanser and a high-performance treatment product followed by a rich moisturizer with at least a 15 SPF. These products should be specific to skin type and condition and always contain a combination of hydrators, antioxidants and anti-inflammatories to optimize skin health. There is no one-size-fits-all product for everyone, which is why we offer such an array of targeted solutions to address various skin concerns. 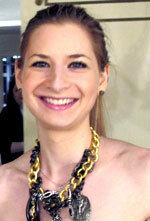 It’s best to use the products that are aimed at your specific skin type. tFS: Can you talk us through your own skincare routine? HM: My own skincare routine varies day to day, depending on my skin’s needs that morning. With that said, I never skip on my supplements or SPF and I cleanse and shave my face every morning. While it does differ day to day, I will usually switch between the use of treatment products Advanced Active Radiance Serum, Complete Reform and Rapid Collagen Infusion. tFS: What's a beauty myth that drives you nuts? HM: I often hear that cleansing and applying moisturizer in an upward motion is best for the skin because it increases product efficiency and circulation in the skin. While this may not be false necessarily, I haven’t found that it makes that much of a difference. As long as the skin is thoroughly cleansed and toned, the absorption of the treatment product shouldn’t vary in effectiveness based on the motion in which it was applied. HM: Make your heart happy and your skin will glow. Target your internal happiness and it will directly reflect on the health and appearance of your skin.